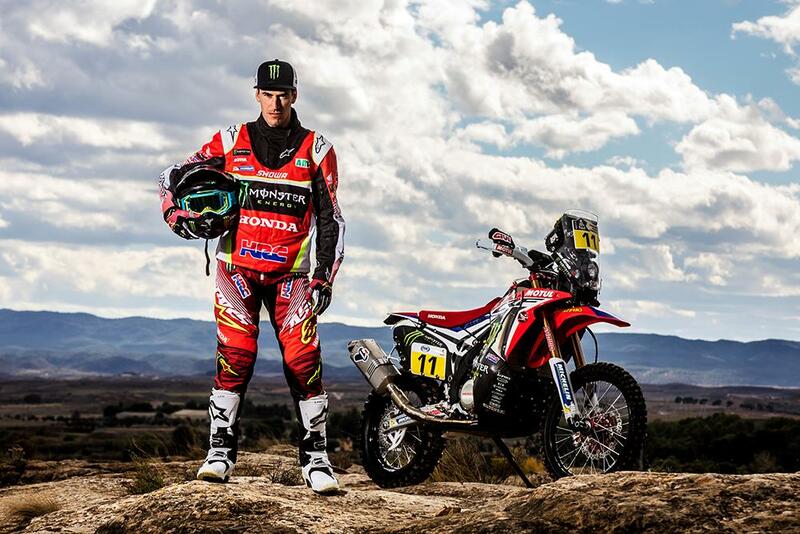 Monster Energy Honda rider Joan ‘Bang-Bang’ Barreda says he’s going into this year’s Dakar Rally with one goal and only one goal – to make amends for the last two races and finally clinch the biggest prize in rally raid racing. The Spaniard led in both 2015 and in 2016, and was a race contender until the penultimate stage of 2014, only to see successful campaigns waylaid by crashes and mechanical problems. But, with another year’s experience for the Honda team under their belts and in what he says is the best shape of his career, he’s aiming to make amends when the race kicks off next week in Argentina. “I believe that I’m better than ever. We have had a great year for both the preparation and the races. We’ve worked on the bike, strengthening its reliability and we’ve worked on fitness too with specific training regimes. We have got pace and good feelings; I hope not to make any mistakes which is fundamental to be in with a chance of winning. I have proven over the last few years that I’m up to the task, the only thing that has been missing is a bit of luck. “My aim is to win. We are a strong team, with really strong riders. I’m confident in myself especially because there are people who believe in me. I’m going to face this race without pressure and try and do my job. Counting on this support, I think that we can do a great job this year.